How was the European continent the year before the war started? Looking at 1913 as a single yet crucial year in the history, the simple action of asking this initial question might become dangerous. Indeed, if we take as starting point the level of knowledge we have reached today, we believe of being allowed to move even too confidently between extreme and maybe pointless positions: on one hand we could say that some warning signs were blatant already in the first decade of the century, while on the other hand we could come up to end that it was a surprise to see a continent (and later the entire world) falling rapidly into conflict in such way everybody knows. Perhaps the problem is once again the present point of view, enriched by an overflow of knowledge, which is not helpful while studying the war outbreak. If you want to escape the pitfalls that the present point of view always features, a solution could be an essay resembling a photograph of one single year. And the year is 1913. More or less the way we build a calendar, divided into 12 months and many days with lots of events. This “calendar” is something similar to what the German journalist and art historian Florian Illies has built up in his book entitled 1913. 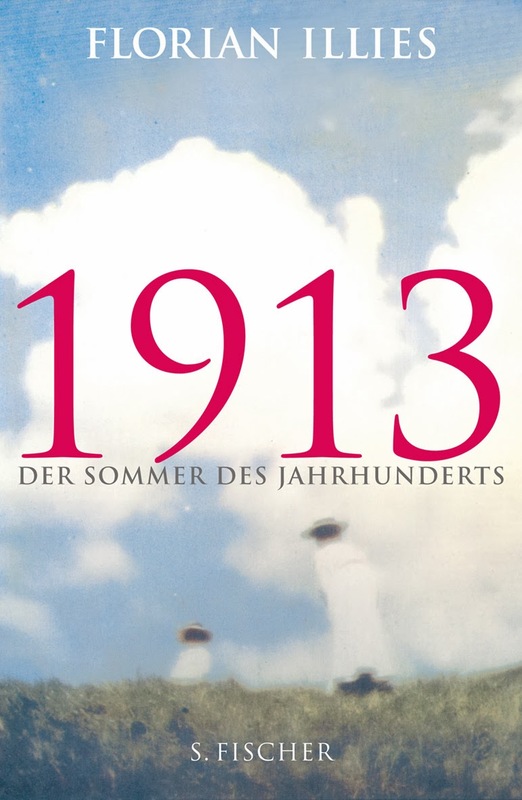 Der Sommer des Jahrhunderts (1913: The Year Before the Storm). While reading his brilliant account of year 1913, we are not forced into any of the two extreme positions pointed out in the introduction, we are rather free to fluctuate in the vivid cultural atmosphere young generations lived while they were getting closer to war. At the end of the year (and of the book) we will be probably able to draw our uncertain roadmap to the disaster that followed and we could even think of choosing one of the stories Illies told as a warning sign or as a starting point for new analyses. What are Franz Kafka and Thomas Mann doing, thinking or writing in 1913? What about Jung and Freud? Is Mr. Rilke fine? And what can he tell us about that special boy called Marcel Duchamp? Sorry, we are forgetting music: what are Stravinskij and Schönberg preparing? Well, last but not least, how is Hitler's youth? This is not a book about the Great War. This is a book written as if the war was about to begin and nobody still knew or behaved like this was about to happen. So, why is probably this book remarkable among World War I audience? To our eyes, this literary expedient works fine as a preparatory book to introduce the mood of an age collapsing into war - like we wrote here - at a ragtime rhythm.